Whether you’re hiring Bertie, Archie or Florence for your wedding, party or event, it’s likely that you’ll have a few things you want to ask us. No! All our ice cream vans are self-powered and ‘Florence’ the ice cream tricycle doesn’t need hooking up to the mains either, she can happily serve for two to three hours without recharging. The Devon Vintage Ice Cream Van Co are based near Plymouth, Devon and we cover an approximate 50-mile radius. This means you can call on us for ice cream van hire in Devon and parts of Cornwall. We can also sometimes travel further afield, please do get in touch with us. if you wish to discuss this and have a personalised quote. Yes, of course we encourage it! Although we can’t invite everyone into the vans for a photo opportunity, the bride, groom or guest of honour can come on in and get their photo taken whilst they serve their guests! we feel that all of our Vintage Vehicles provide the perfect backdrop for that unique photo opportunity! Can we get in the ice cream van? Brides, grooms and guests of honour are welcome to join us in the van for a photo and why not even have a go at serving your guests…! Toppings: Strawberry, Chocolate, Bubble Gum and Toffee Syrup Sauces. Hundreds and Thousands, Chopped Nuts, and the iconic Cadbury flake of course! ‘Retro’ Ice Lollies: Cherry Brandy, Cider, Lemondade, Orange, Strawberry split, Choc Ice. Sweeties: Wine Gums, Sherbert Lemons, Cola bottles, Sugar Mice, Shrimps and Bananas and lots more vintage classics! Drinks: We also supply a range of cold bottled soft drinks from Luscombe handmade in Devon. We will always do our best to cater for any dietary or allergy requirements. We offer a yummie ‘soy based’ ice cream for guests who are vegan or who have dairy intolerances. Please contact us directly to find out which ice creams and lollies will be suitable. We also like to leave with the chimes ringing, so you can wave us goodbye! Corporate: We can invoice for the full amount in advance or post event, options are available. Do all of your ice cream services have a 5 star food safety rating? Yes! We adhere to all health and food safety regulations and we display our certificates inside our vehicles. If you want to check our certification or view our insurance or 5* food hygiene rating documents, please send us an enquiry through our contact form. Contact us via our email: enquiries@devonvintageicecreamvan.co.uk or call Tara on 07818 048 896 and we can get to know you, your event and provide a personalised quote. If you’re happy to go ahead, we’ll get you booked in! Where can I find out more about the Devon Vintage Ice Cream van Co? 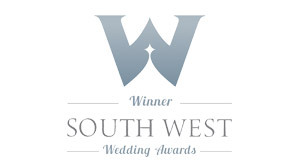 You can find out about our company history and see our journey to become the award winning ice cream events and functions provider of the south west about page.